The success of high pressure process (HPP) implementation by a large number of companies demonstrates HPP is an effective food safety measure that can be applied to mitigate risk for a variety of foods. 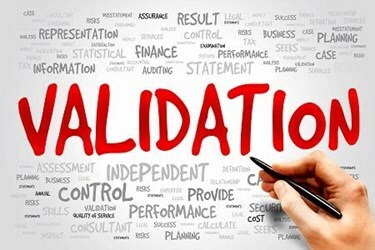 HPP validation and verification are also major requirements of FSMA. According to the law, validation of (HPP) used as a kill-step is required in order to make sure the HPP treatment is at a level of effectiveness to ensure food safety objectives. The hazard analysis mandated by FSMA regulations serves to identify the pathogens of significance for a specific food and its specific process or control measure. In the case of ready-to-eat (RTE) foods, USDA FSIS specifies the regulatory requirements in 9 CFR 430.4 “Control of Listeria monocytogenes (Lm) in Post-Lethality Exposed RTE. “ The examples of RTE products include deli products, hotdog products, whole hams, sausages, meat salads, and other products that have been treated with a lethality step. RTE products are of particular concern for contamination with Lm because they may support the growth of the pathogen during refrigerated storage and can be often consumed without further cooking. Because the Lm infectious dose is thought to be low, FSIS has maintained a “zero tolerance” for the pathogen in RTE products.